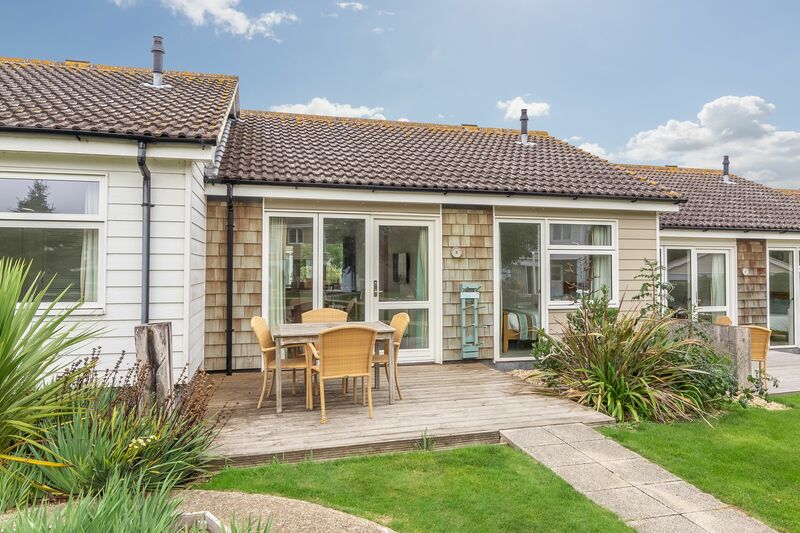 If you like to cosy up in a home-from-home during your time away, this could be the ideal cottage for you. 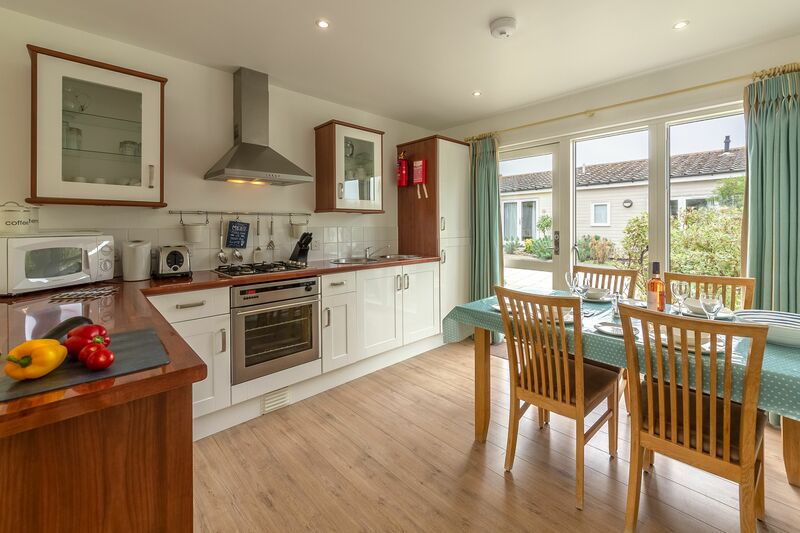 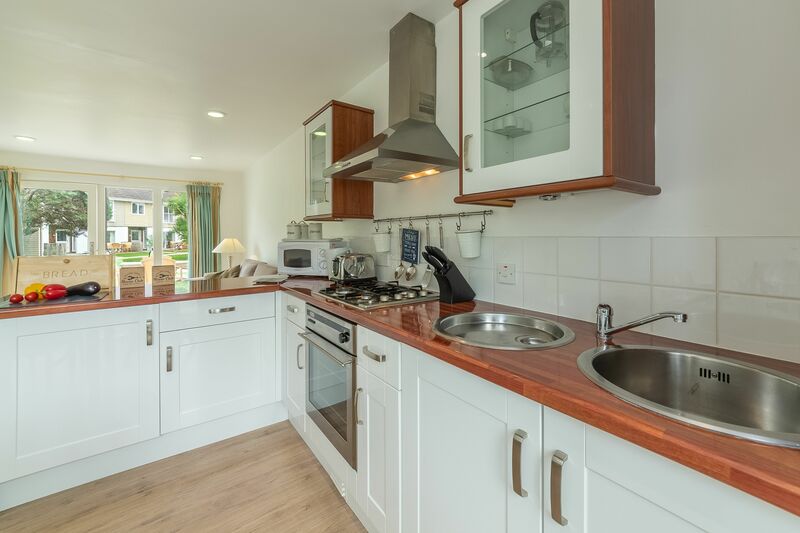 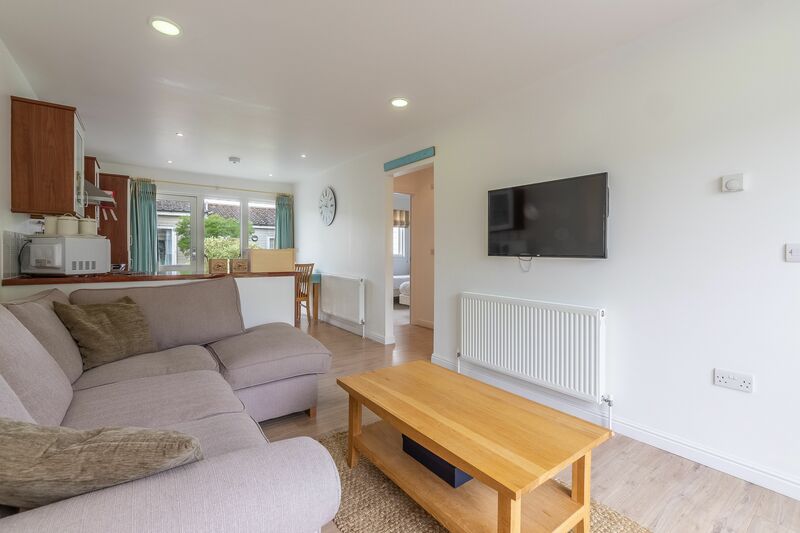 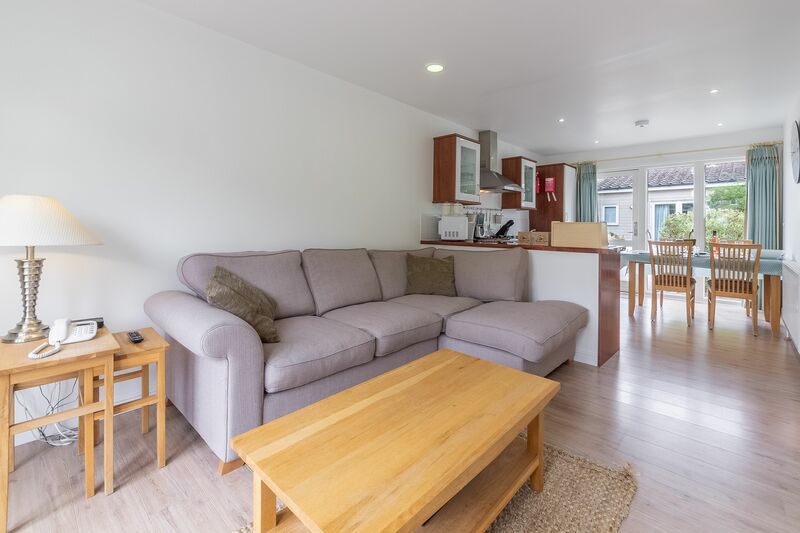 An open plan living space runs the full depth of the cottage, with a kitchen at one end and a living space at the other, complete with comfy sofas and a Freeview TV with DVD player. 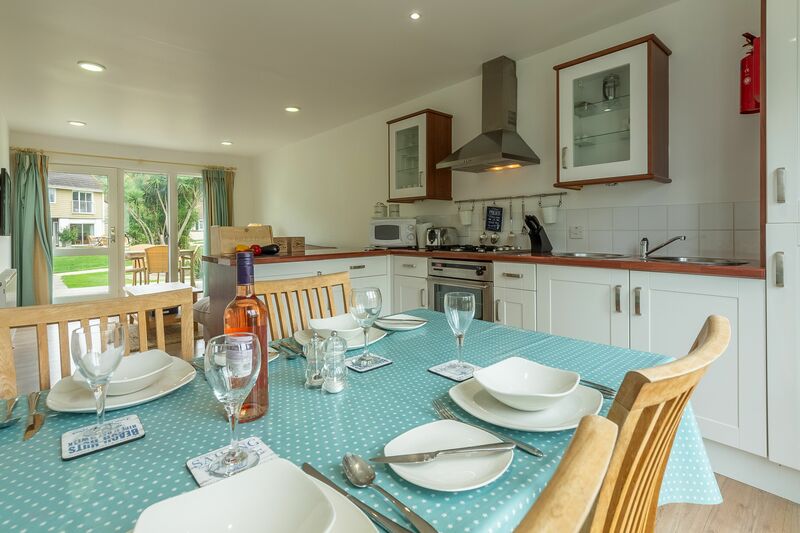 There’s a dining table and chairs too. 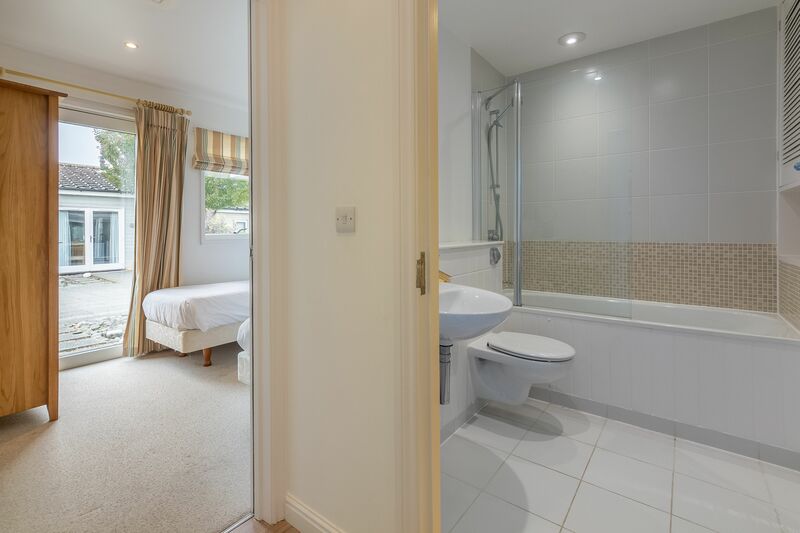 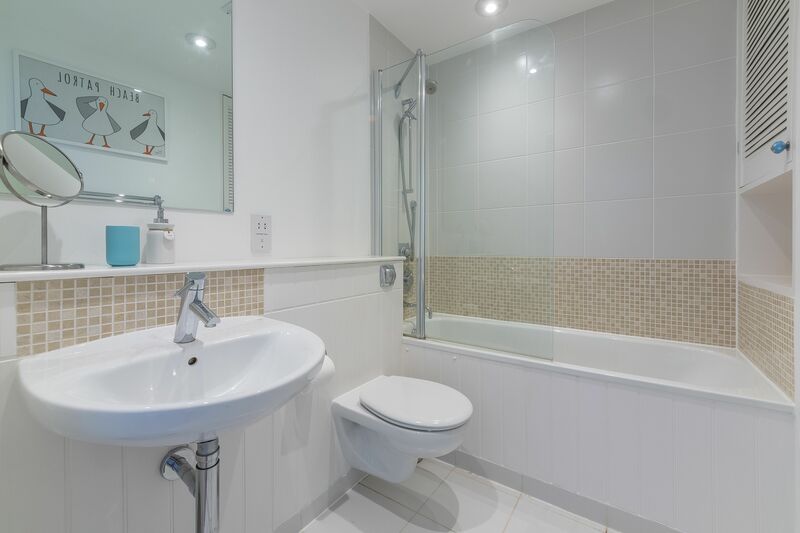 Along from the living space are two bedrooms, one with a double bed and one with two twins. 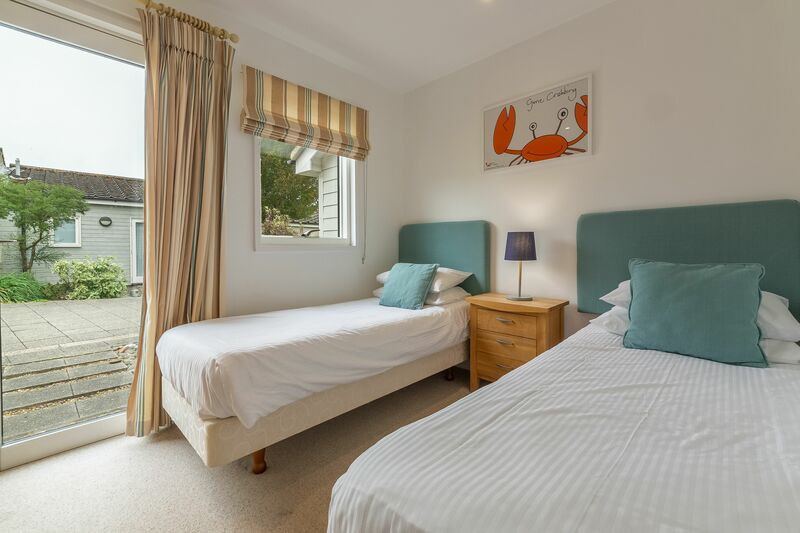 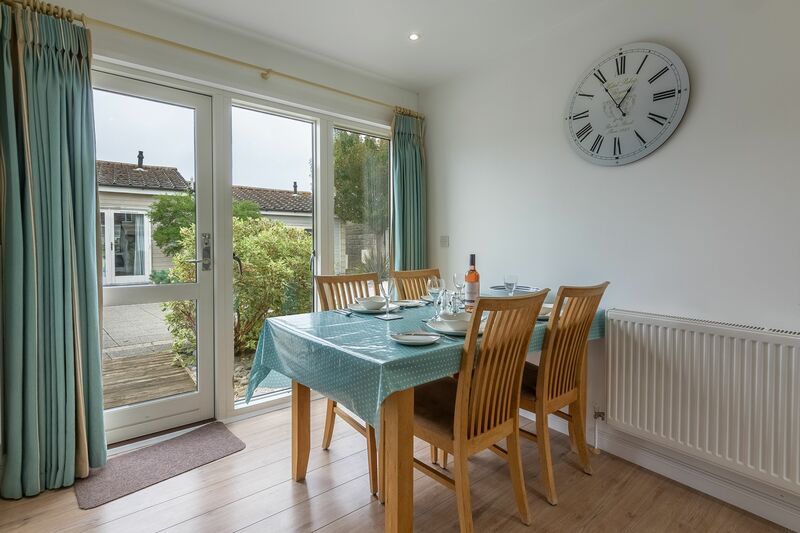 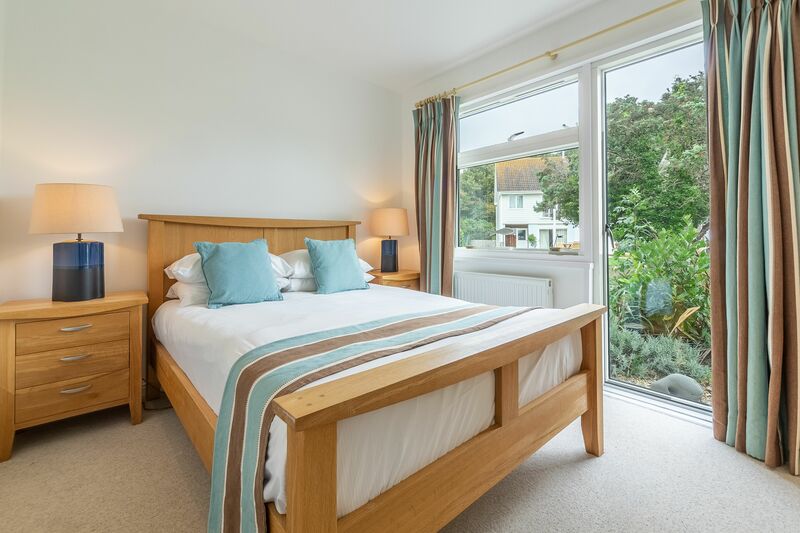 The double bedroom has a French door that opens out onto the patio with wooden decking. 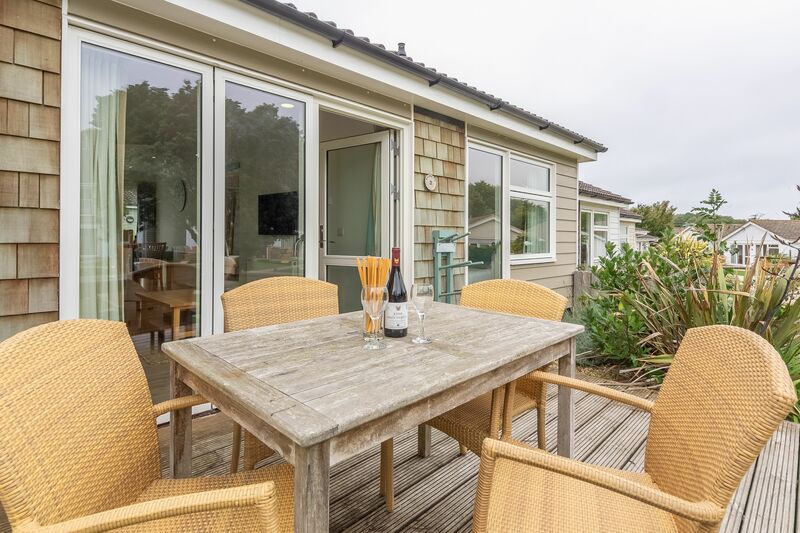 It’s the perfect spot for a coffee in the morning – or a glass of wine at night. 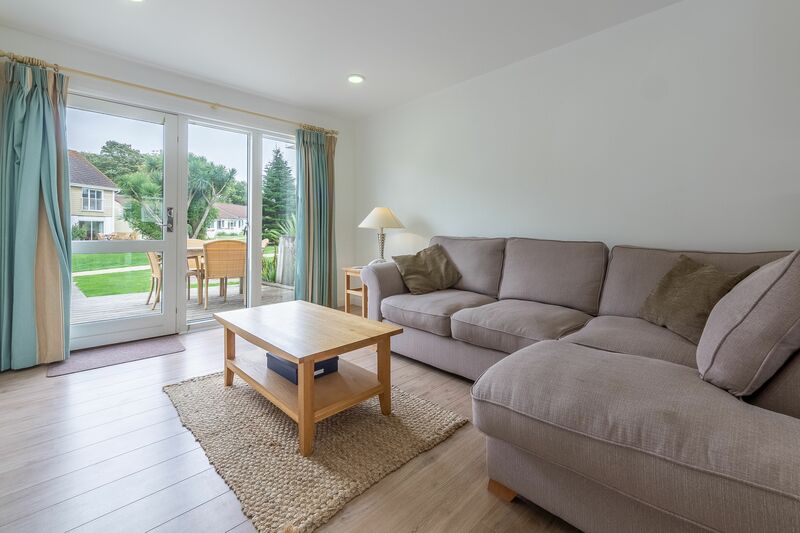 This property overlooks the green so you can watch the children play and is situated near the car park, so easy for unloading those cases.